At La Plata Dental, we know how important it is for our patients to maximize their dental insurance benefits and minimize out of pocket treatment costs. For this reason, we offer in-network coverage for many of the most popular insurance plans in the area, including Delta Dental. As an in-network dental office, we have a great deal of experience working with insurers to make the most of our patients’ coverage. If you want to start maximizing your Delta Dental insurance benefits, call our La Plata dental office today. Let one of our team members know when you call that you have insurance coverage through Delta Dental. We’ll get to work immediately reviewing your coverage and helping you to keep the costs of your family’s dental care within your budget. 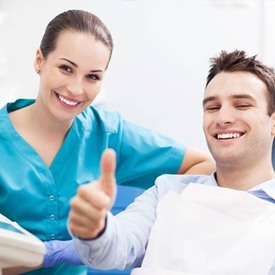 We think that every patient deserves to have access to high quality dentistry services at an affordable price. Dental insurance plans cover a percentage of the cost of dentistry services in exchange for the payment of a monthly plan premium. 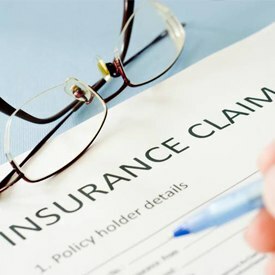 This treatment coverage is typically only available up to a price set by the insurer and within an annual coverage limit. As in-network providers, we know how to help patients make the most of these benefits. In order to help you budget for your out of pocket treatment costs, we’ll review your individual policy and provide accurate estimates for the percentage of the price you’ll need to pay. Every Delta Dental plan is a unique contract between you and your insurer. However, most people can expect to receive 80 to 100% coverage for preventive dentistry from their Delta Dental benefit plans. This includes dental checkups and teeth cleanings and other necessary preventive dentistry treatments. Minor restorative services like fillings receive 70 to 80% coverage, and more advanced treatments like dental crowns are covered between 50 and 70%. Because we’re in-network with Delta Dental, we’ve agreed to charge prices that fall within your plan’s set pricing. That means you only ever need to pay the out of pocket percentage of treatment costs. Additionally, our knowledgeable team members are more familiar with the unique benefit plans, so we can quickly answer questions, provide accurate price estimates, and make sure your benefits are maximized. Our existing relationship with Delta Dental means we typically receive responses from the insurer for preapprovals and treatment authorizations more quickly than out of network offices. Still have questions about your Delta Dental insurance plan? We’re here to help. Call Rhonda. She is our office manager, and Rhonda is happy to put her years of dental insurance experience to work helping you to better understand your insurance plan and how we can maximize your benefits.